Police in San Jose on Saturday are searching for two possibly barricaded suspects accused of robbery and assault with a deadly weapon, according to police. 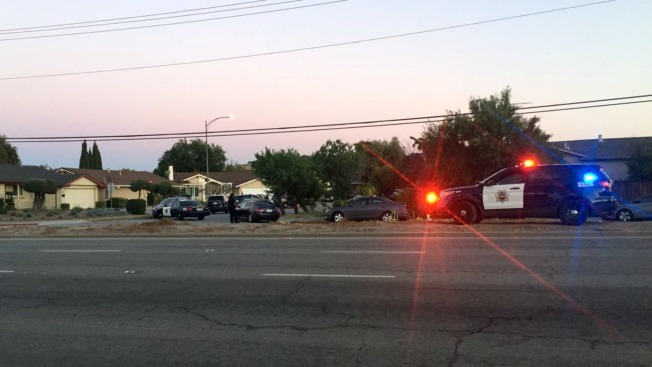 Officers originally tried to pull the suspects over near Senter Road and Seven Trees Boulevard just before 5:45 p.m., according to police. The suspects, who were riding in a stolen vehicle, refused to stop. A pursuit followed before the suspects fled on foot in the area of Bodie Court and Blossom Hill Road, according to police. That is where police set up a perimeter to help locate the suspects, who are believed to be hiding in a home. It is unclear if the two suspects are still in a home in the area as of 11 p.m.